Product news, special offers, trade fairs and events – find all the latest news from your SOLISYSTEME bioclimatic pergola builder and distribution network. Right in the center of Paris – Porte de Versailles, the internationally renowned fair EQUIP’BAIE 2018 will be this fall’s essential rendezvous. 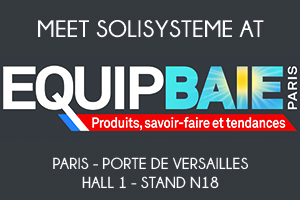 Come and join the SOLISYSTEME Team at EQUIP’BAIE, Hall 1 – stand N16. the ARLEQUIN pergola, the ELEGANCE and REFERENCE structures, and our accessories. Let’s imagine and come up together with new solutions for terrace, garden or patio roofing on our stand! The countdown has started, do not hesitate any longer! Come and meet us, discover our sun shading solutions from the 20th to the 23rd of November 2018. 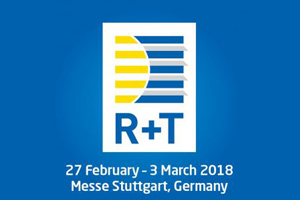 At Stuttgart, R + T, is the world’s leading trade fair for roller shutters, doors/gates and sun protection systems. The countdown runs, don’t hesitate any longer … come and discover from 27th of February– 10rd of March 2018 our product range of inspired pergolas!! From 6th – 10th of November, at Paris Nord – Porte de Villepinte. At Paris Nord – Porte de Villepinte, BATIMAT, the building industry’s leading international trade show. The countdown runs, don’t hesitate any longer … come and discover from 6th – 10th of November 2017 our product range of inspired pergolas!! At the heart of Paris, Porte de Versailles, EQUIP’BAIE 2016, the show of international fame, is the inescapable meeting of this Autumn. 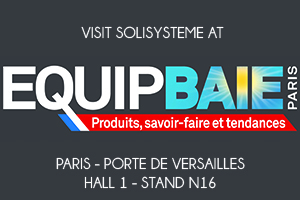 Come to find the SOLISYSTEME team to EQUIP’BAIE, Hall 1 – stand N18. We would be glad to receive you to discover our new stand, and to present all our products: the BIOCLIMATIC pergola with adjustable louvers, the Arlequin pergola, the structures ELEGANCE and REFEENCE, ZIP screen, glass panel, spots and ribbons LED, and our novelties. Come to imagine and to create new solutions to cover your terrace, garden or patio, on our stand! The countdown already runs, don’t hesitate any more to come and to meet us from 15th to 18th of November, and to discover our new solutions of new sun protections. 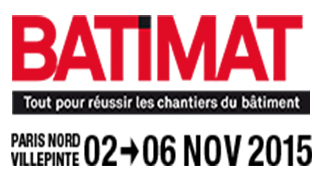 Come to meet the SOLISYSTEME team to the BATIMAT International Exhibition, Hall 6 – Stand F171. We will be pleased to welcome you and to show you our product range. The Bioclimatic Pergola with adjustable aluminum slats; Arlequin Pergola ; Elegance & Reference Structures, blind ZIP Screen ; sliding glazed panels ; and other innovation. Come to meet us on our stand to imagine and create new solutions of terrace coverings. Come and visit our stand in New York, South Street Seaport Pier 16, from the 1st to the 3th of July from 9am to 7pm, to experience the Bioclimatic Pergola by Solisysteme and the beautiful Lafayettes’s Hermione frigate and meet with our new partner Bioclimatic Structures LLC. SOLISYSTEME has been selected among various French companies to be partner along with the Poitou Charente region, of the Hermione voyage. To celebrate this historic event, the inventor and pioneer Jean Louis CASTEL and Bioclimatic Structures LLC, will introduce the Bioclimatic Pergola by Solisysteme in New York. We invite you to discover our videos: Some of our achievements, video products through our passages in emissions D&Co and Home Magazine. Come and join all our SOLISYSTEME Team to re-discover our ranges of adjustable-louver bioclimatic pergolas and our Arlequin Pergola with its sliding colored panels. Come join the team SOLISYSTEME Batimat, Hall 6 – Stand D140. We will be happy to make you rediscover our historical product: the pergola slats, so that our new concept: The Arlequin Pergola, which participates in innovation awards 2013. We will offer a new solution indeed pergola entertaining and creative. Simple, accessible and colorful … discover our new idea of cover terrace! For more information, please visit our stand.